With Polls you can actively influence the comic! After a poll is closed, I'll post a summary of the outcome below so we have a nice overview of all the topics and decisions you guys helped me with! Should you have trouble participating in a poll, try to refresh the page. Sometimes they have loading difficulties. If your browser isn't up to date, that could also be the source of the problem. Other places to participate in the polls are on Deviantart or Instagram. Poll 03: Should I create magical cards? The next question is up! 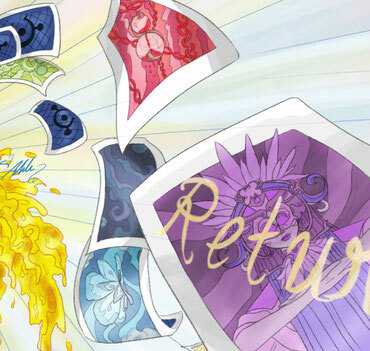 Sadly the poll website I'm normally using is having some issues so if you want to participate, please visit my DA account, instagram, leave me a comment below or just write me an e-mail. I'd love to hear your opinion! Poll 02: Should I make castings for the comics? The second poll for you guys was whether or not I should make castings for extra roles in the comics. Since I need people to fill the scenes I figured it could be fun to have you guys or your characters featured in the comic. Many many people answered and it was almost unanimous YES! 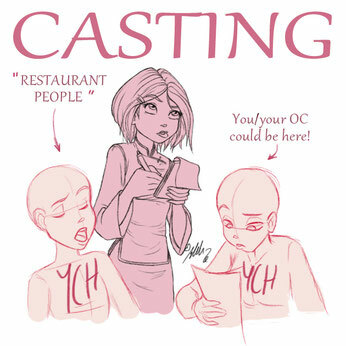 You can find a new section for Castings only on the website now and the next one is almost up! Poll 01: Who should start the adventure? The results are finally here! And the winner is... IRMA!!!! Hooraaay! It was a close race! 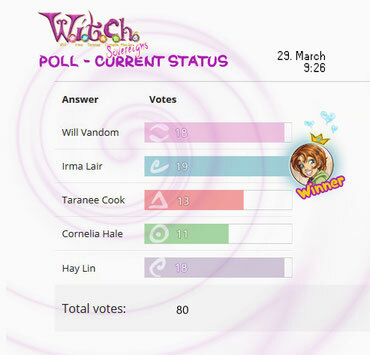 Irma battled hard against Will and Hay Lin but in the end she won with one vote in advance.